The biggest challenge I face on a daily basis, as a mom to kids aged 1-9 is the whiplash that comes from helping a thoughtful nine-year-old think through her problem and talk about it and maybe cry a little, and then wrestling a toddler into tights because she won’t leave her socks on. I emerge from that battle sweaty and victorious to find the four-year-old launching onto the bed belly first, but before I can remind her that belly flops are forbidden and suggest that perhaps her energy might be better spent outdoors, the seven-year-old comes to me sorrowful because her favorite character in her book has just died. 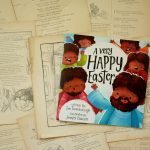 Meeting the needs of different daughters, remembering that the seven-year-old won’t see things the way the nine-year-old does and that there is no reasoning with a toddler—that is my challenge. 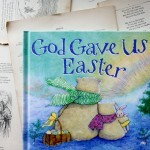 This makes family reading a tricky affair, too, because I love the idea of us all cozied up around the same book, but it’s hard to choose a book that will satisfy everyone. Our school books and family read-alouds tend to favor the older girls, so lucky Phoebe gets folded up into whatever we’re reading with Lydia and Sarah. 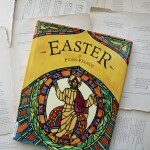 This is true for Easter books, too. And that is good. When it comes to choosing read-alouds, I like to round up. 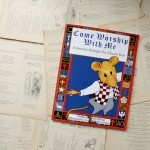 But lately, I’ve been trying to find books that are just right for Phoebe. (Sandra Boynton’s books are always just right for Josie, so that doesn’t take much thought yet.) 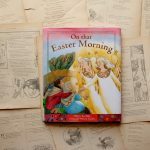 That is why we’ve begun reading Brambly Hedge together, and why I take a minute in the morning, with the towel still on my hair, to read Everything a Child Should Know About God to Phoebe. I want her to hear, sometimes, things read just for her. 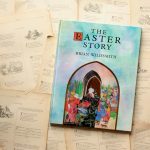 And that brings me, at last, to Katherine Sully’s book The Easter Story. 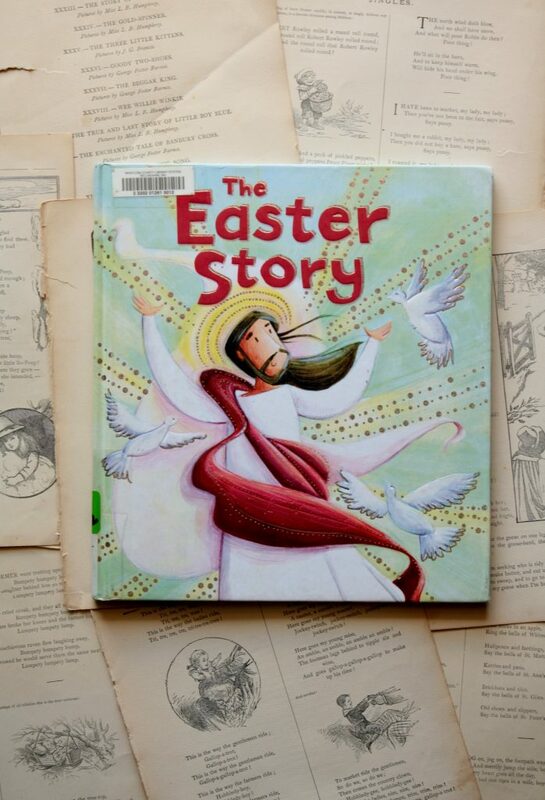 The story of Easter doesn’t lend itself to cute, cuddly picture books. 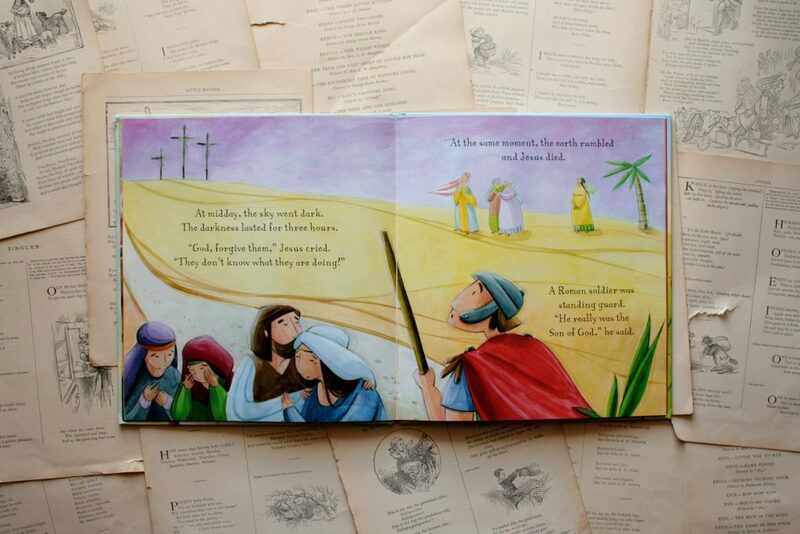 It can be done—it has been done beautifully—but the story centers around crucifixion and violence, done not to the bad guy but to the hero, and that is hard to explain to young readers. 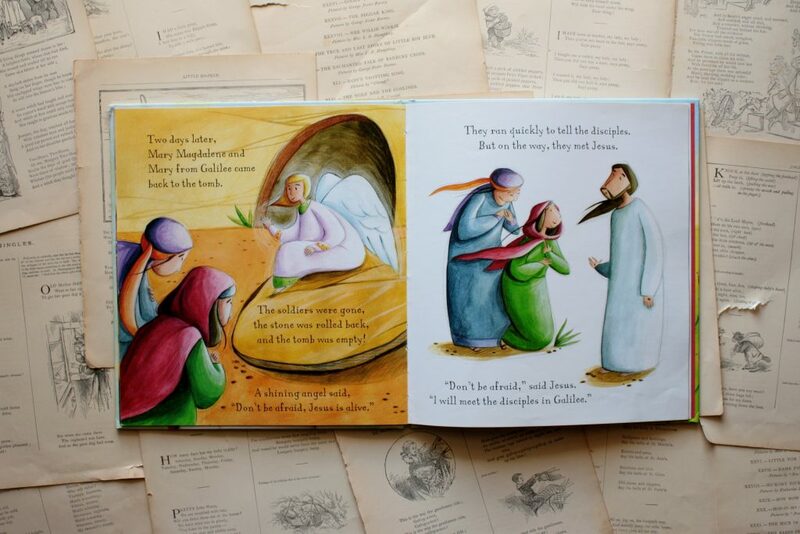 But Sully recounts the story’s events simply and faithfully, as the lines of Simona Sanfilippo’s watercolor illustrations sweep across the pages—the figures seem to be in constant motion. Sully doesn’t offer much commentary, but just tells the story like it’s one worth listening to—like it’s one worth knowing well. 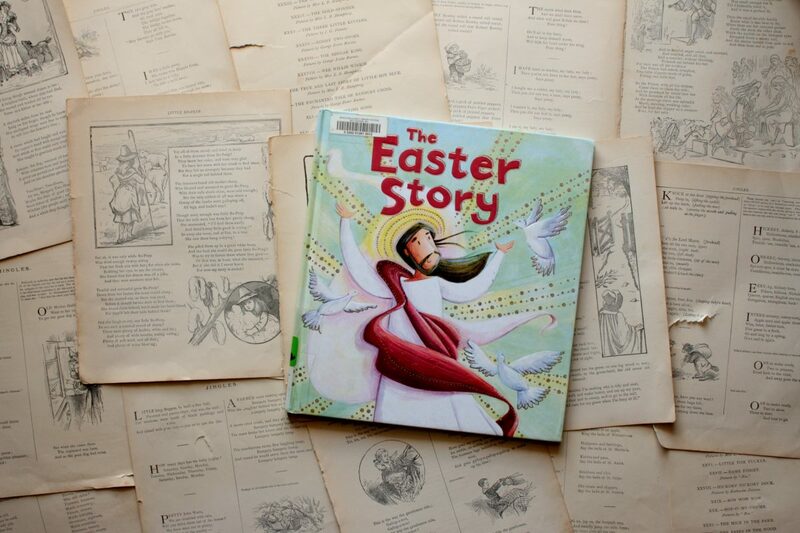 The Easter Story is a simple, but not too simple, retelling of Jesus’s death and resurrection that draws young readers in, gives them much to ponder, and much to point to. For the few moments I spend reading this with Phoebe, I suffer no whiplash, but sit still with her. We are right where we need to be.